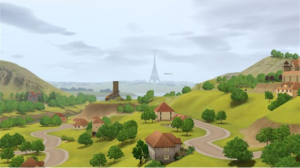 Many fun new additions were added for kids and teenagers in “The Sims 3: Generations" expansion pack. They can now throw a slumber party, have The Sims 3 pillow fights with their family and friends, go to afterschool activities, attend an exclusive boarding school, go to prom, pull pranks on unsuspecting Sims and much more. This is a really great expansion pack to add to “The Sims 3" base game because it covers many aspects of all of the Sims lives. It also includes a nice assortment of new clothing that Sims of all ages can wear. The amount of new objects added to the game is also huge with this expansion pack and is really perfect for setting up an area for throwing a sleepover party for the younger Sims to enjoy. The new type of party that kids and teenagers can throw with the “Generations" expansion pack is called The Sims 3 slumber party. It is what it says, it is a sleepover. When selecting to “Throw a Party" the option for “Slumber Party" only has one dress code: Pajamas! What else would Sims want to wear to such a party? If the kids decide to use the new water slide or go swimming, they will change into their swimsuits for that activity. Before the party starts or just after it starts, have the parent call to order pizza for the kids. This is a food that all of the kids love and will eat it when they are hungry. Also, be sure to have enough entertainment for the kids to do while attending the party. They will do everything from playing pretend with the new costume chest, take part in The Sims 3 pillow fighting, dance to music, watch TV, play video games, use the computer, play tag, chat, and even tell ghost stories. They will do pretty much anything, but it needs to be available for them to use it. If money is an issue, use The Sims 3 money cheat, it is worth it! When it is bedtime (around midnight) a message will pop-up on the screen saying that it is bedtime and all of the kids will find a spot on the ground and pull out their sleeping bags and go to sleep. Be sure to have enough floor space for all of the kids to sleep or they might end up trying to sleep in the parent’s bed! There are some limitations on the party, but they are to be expected. For instance, if a child throws the party, only children in their age range can attend it. If a teen throws the party, only teens can attend it. Boys and girls can both attend the same sleepover, so only invite the Sims to the party that you want to attend it. If you don’t want your Sims to have a boy-girl sleepover, only invite girls or only invite boys to it. Pillow Fighting – Not Just For Sleepovers! 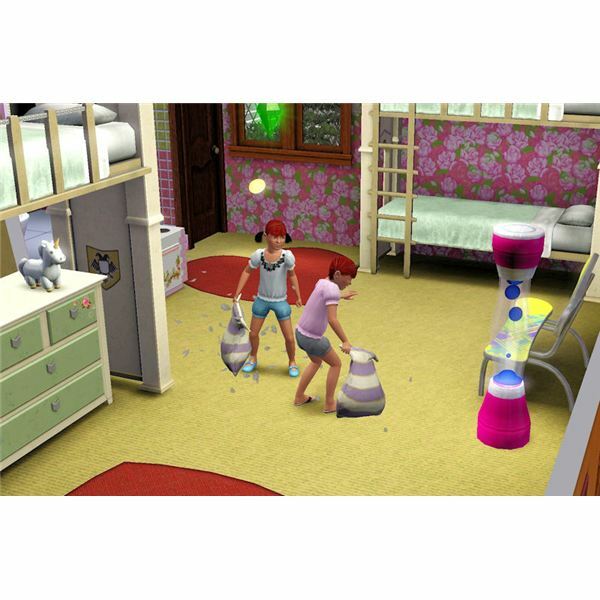 A fun thing for Sims to do at slumber parties is to have The Sims 3 pillow fights! This can be done anytime, but at sleepover parties it is even more fun and just waiting to happen! This is a new social interaction that all Sims can do (child age and above that is). It is part of the friendly interaction and can even be done with The Sims 3 imaginary friends! If there isn’t enough room in the space you want to have the pillow fight, the Sims will move to where there is room, even if that is outside. All Sims seem to enjoy this fun interaction and most even have wishes pop up to pillow fight with a certain Sim. This is an easy way to gain lifetime reward points, so if that Sim is around and not busy, go ahead and accept it and send some feathers flying! The fighting itself can look like it gets a little bit rough sometimes, but it is just feathers and it never hurts a Sim that is involved in the fight. In fact, they all enjoy it and their relationship with the Sim they are fighting with pillows goes up. It is a fun time all around. So, go ahead and have your kids in the game invite their closest friends and throw The Sims 3 slumber party the next time you play – it is fun and quite entertaining to watch!